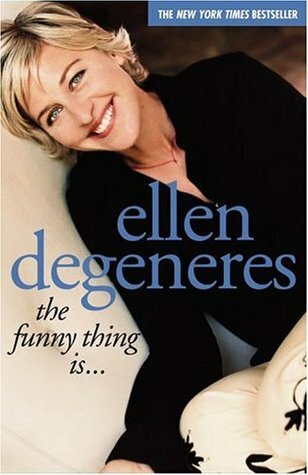 Ellen DeGeneres published her first book of comic essays, the #1 bestselling My Point...And I Do Have One, way back in 1996. Not one to rest on her laurels, the witty star of stage and screen has since dedicated her life to writing a hilarious new book. That book is this book. More than 50,000 simple, short words arranged in sentences that form paragraphs. Thousands of observations on everyday life -- from terrible fashion trends to how to handle seating arrangements for a Sunday brunch with Paula Abdul, Diane Sawyer, and Eminem. All twenty-six letters of the alphabet. This is a really enjoyable quick read! It didn't quite live up to what I thought it would, in comparison to Seriously I'm Kidding by Ellen it just wasn't as funny and captivating. That being said this is still a great little read! It definitely had its laugh out loud moments and I recognized some bits from Ellen's stand up from back in the day, which was awesome! I wish I would have listened to it on audiobook, I think it would have made the experience better!